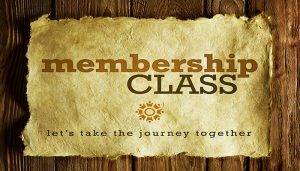 Register now for the next Membership/Baptism Class. There are 4 classes beginning Sunday, Oct. 28th – Nov. 18th – 9:30 – 10:15am in room 126 (lower level of building). You can sign up at the Welcome Center in the gym or in the main lobby or by calling the church office – 269.673.5683. Families are welcome, we will have crayons and drawing paper out for the kids.